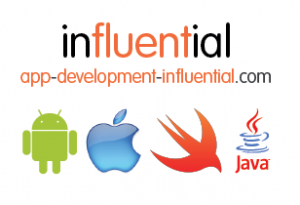 Influential has a wealth of Software delivery experience, and this has enabled us to hone our best practice delivery processes for App development. We believe that a robust process together with accurate and timely communication will lead to successful outcomes. Our multi-disciplinary teams ensure that our subject matter experts are appropriately deployed. Developers, Scrum masters, Integrators, Testers and Project Managers work closely with Product Owners and key Stakeholders to ensure a timely and fit for purpose delivery. A series of meetings and workshops will form the basis of our understanding of your requirements. Using an iterative approach, revisiting and refining as required. Highly experienced UI(User Interface) and UX(User Experience) professionals will map out the user journey (creating user stories) and design the layout of the App visuals. These will result in the list of items that need to delivered as part of the final App (at this point the MVP will be agreed). Experienced developers will take the design definitions and build the required functionality and UI. During development and as part of customer walkthroughs, “Show & Tell”, extensive testing will have taken place. Each delivered component will have been tested to industry standards, ensuring that each build is robust. This includes regression testing, UI testing, security testing, stress testing and integration testing. When the application meets the agreed acceptance criteria it can be released into the wild.